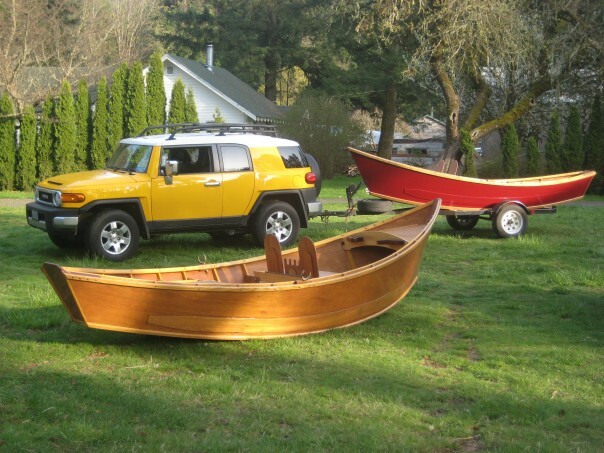 The McKenzie River Wooden Boat Festival is a one-day celebration of the history of the wooden whitewater dory invented on the McKenzie River. 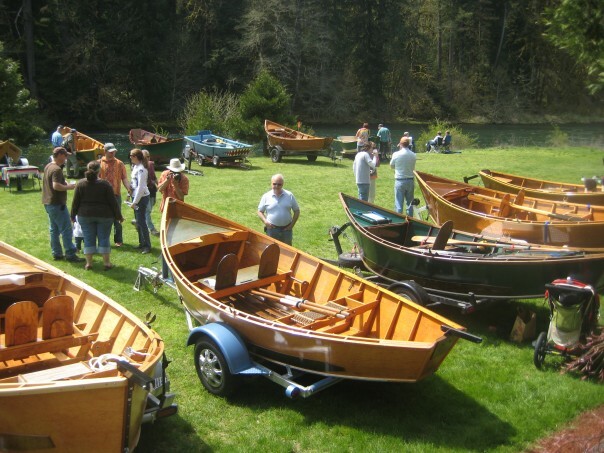 Each year hundreds of people attend this event to show and view historic boats and new boats from all over the Pacific Northwest, Wyoming and Montana. It occurs on the opening day of fishing season, the third Saturday in April, and is held on the lawns of Eagle Rock Lodge. Eagle Rock Lodge was once the home of John Shelley West, one of the nine charter members of the McKenzie River Guides Association. Today the MRGA is the largest guides association in the state of Oregon and strong advocate for stewardship and public rights of rivers in the Pacific Northwest. 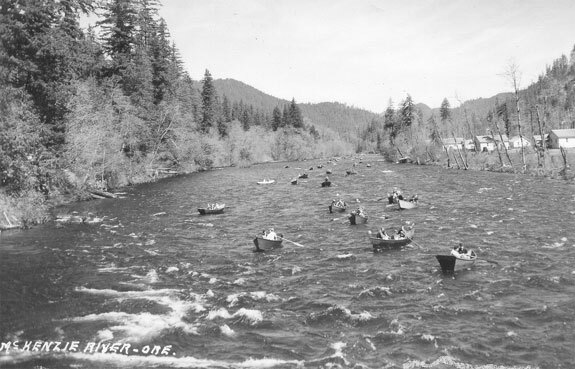 The McKenzie River Drift Boat was invented for the whitewater rapids of this great river. 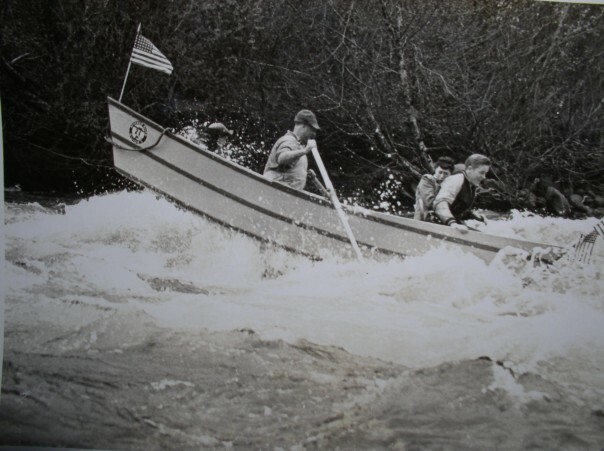 In the 1930s and 1940s the drift boat design evolved as new materials such as plywood made lightweight designs able to take on the big water. By the late 1940s and early 1950s the boat had taken on the shape of the double-ended dory with the signature rocker shape to the bottom. 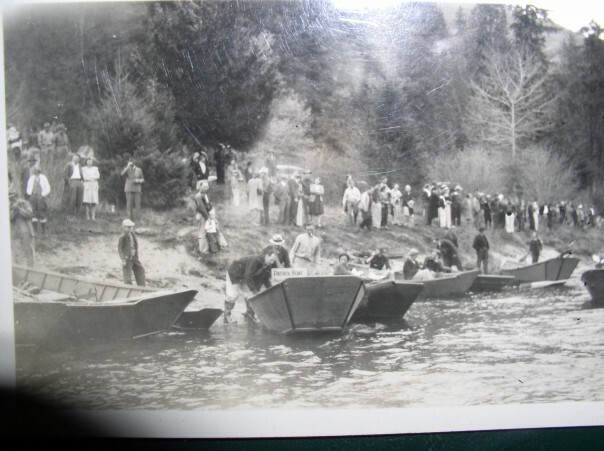 This design proved to be both safe and useful for many types of water, and the design is used today throughout the world and known as the McKenzie River Drift Boat.